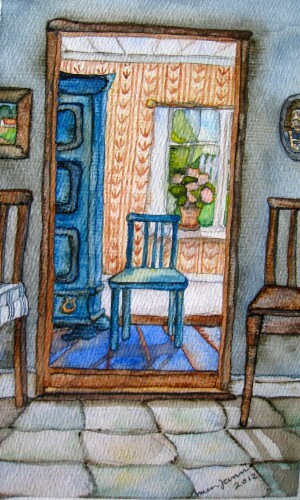 In a charming naive style, Janina Pieniowska depicts homely scenes and the places that are dear to her – in Sweden, Poland and Greece. 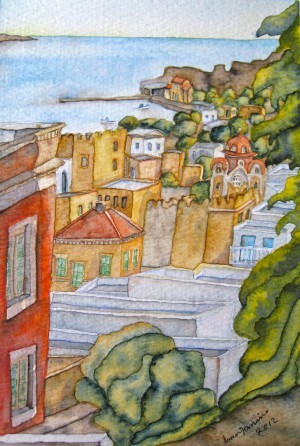 Her medium is watercolour and she often works in very small formats. 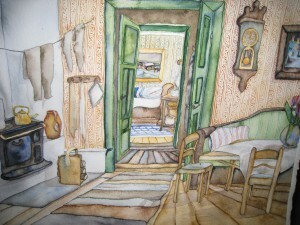 Janina Pieniowska has Polish roots and comes from an artist family. 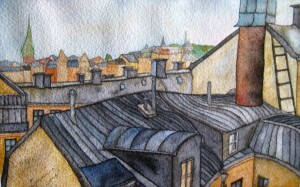 She is inspired by Polish art and has studied art history at the University of Warsaw.